"Be prepared." This Scout motto is a good one to live by, especially when you have pets. There are times when you may have to take your cat to the emergency vet, so know where the closest facility is and how to get there. If you suspect your cat has a concussion, that's where you should take him immediately. A concussion is a form of brain injury. 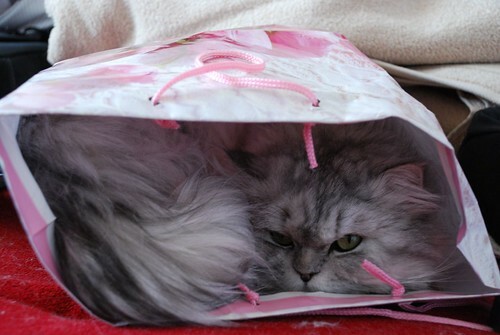 It may prove minor or quite severe, and with the former, cats are masters of deception. Cats suffering a mild concussion will likely heal and return to normal. Those with a severe concussion may experience lasting repercussions, especially if they do not receive prompt veterinary care. Unsurprisingly, the most common cause of cat concussion involves being hit by a motor vehicle or even a non-motorized vehicle such as a bike or scooter. In cities, many felines suffer head trauma after falling out of apartment windows, which vets refer to as "high-rise syndrome." A climbing cat might fall out of a tree. The truth is that cats don't always land on their feet, especially when falling from great heights. A cat attacked by a dog might have a concussion from a violent shaking if the canine grabs his prey by the neck. Outdoor cats are more vulnerable to concussion, especially if they are intact males roaming in search of mates. However, indoor pets are by no means immune. An object might fall off a table or shelf, hitting the cat in the head. Someone may accidentally sit on a cat sleeping on a chair or sofa. Kittens, or even older cats, running around at high speed may charge head first into a solid item. When it comes to potential feline head injuries, the possibilities are endless. If your cat is unresponsive or experiencing seizures, that's an obvious sign that something is wrong, and may indicate head trauma and concussion. A concussed cat may appear uncoordinated, have difficulty walking, or exhibit other neurological symptoms. Your cat's eyes may reflect recent head trauma. If her eyes are moving back and forth in a repetitive manner, or if her pupils aren't the same size, that's a red alert. However, as PetMD notes, symptoms of feline head trauma are often subtle. A mild concussion may result in your cat behaving in a way that's just "not quite right." If your cat is behaving oddly, trust your gut and take her to the vet. While cats suffering a concussion may exhibit various serious symptoms, the loss of consciousness is relatively rare, according to the Cummings School of Veterinary Medicine at Tufts University. If a cat does lose consciousness due to head trauma, the prognosis is not good. The vet will examine your cat to determine the extent of your pet's head injury. If the concussion is deemed mild, the vet may prescribe medication for pain management. You'll receive instructions on supportive care and how to monitor your cat's condition. It can take a few weeks for the brain to heal. If the concussion appears severe, an MRI or CT scan is done. For these procedures, the animal is given general anesthesia. The cat may receive anti-inflammatory drugs to reduce brain swelling, along with intravenous fluids and medications to aid with neurological issues. Expect your pet to stay in the veterinary hospital for at least a few days. Professional monitoring is necessary at this time. It can take a considerable amount of time for a cat with a severe concussion to heal. Much depends on the individual animal. While some cats may recover more or less completely, others may have permanent neurological impairments.